As you may know, we have a hospital fund for people in Kadawa and district. 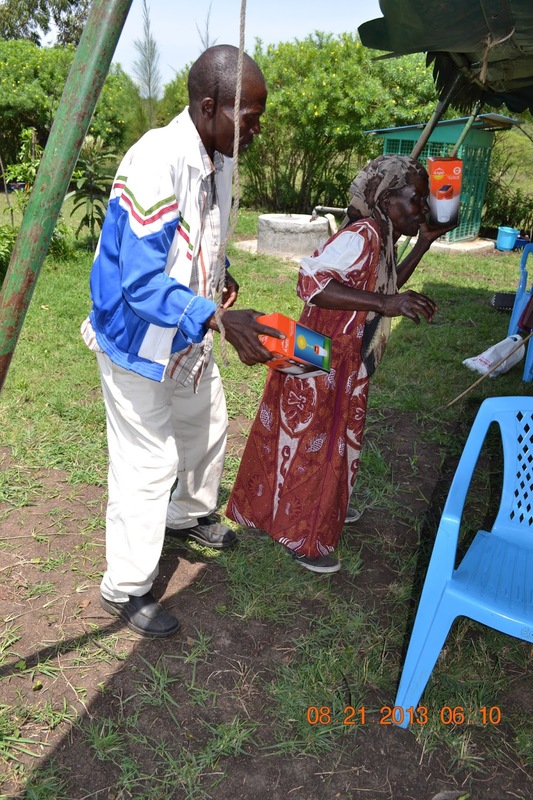 It has been made possible by generous gifts, and also we are contributing to it from income from The Widows' Farm. Yes, although it is minimal right now, we are bringing in income. Folks in the village have learned about our corn (maize) sheller and will bring sacks of the cobs to the farm to be processed through the sheller. It removes the kernels from the cobs in no time flat. We charge 100 shillings (about $1.20 or 77 pence) per 90 kilo sack (about 202 lbs.). To do this the traditional way - by hand, one-kernel-at-a-time, is very, very time consuming. A large crop can take up to 6 weeks - 5 days a week, with a team of several people working daily. Plus, with a team it is required to feed them lunch - a cooked meal. The money received for this service goes into the hospital fund. We also have just planted a money crop which, when ready for harvest, will be used to feed the widows, but some will also be sold at the market and the money put into the hospital account. 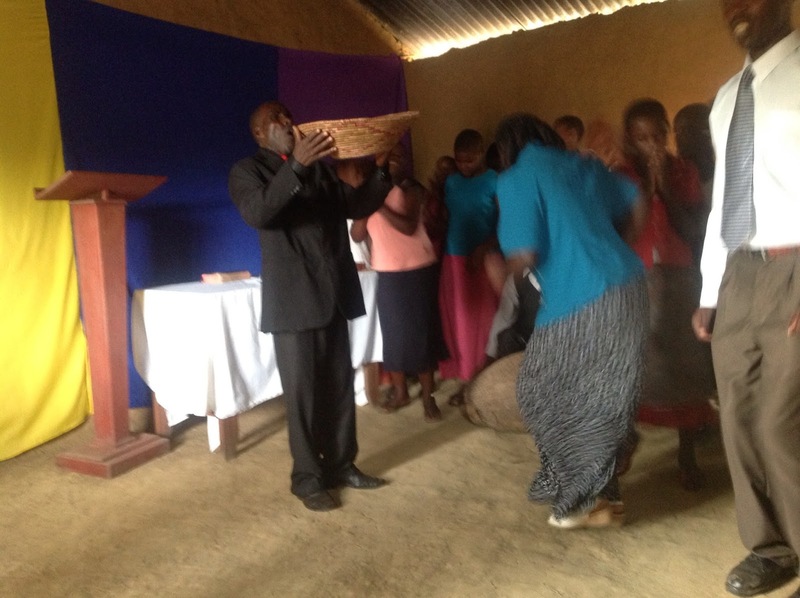 The fund is administered by Violet Odindo, Pastor Hesbone's wife and is used for people in need of urgent medical care. We try to maintain the account year-round. those who give towards it. Gladys and many others would be dead by now. Gladys was unable to eat or hold food down - even for 5 minutes. 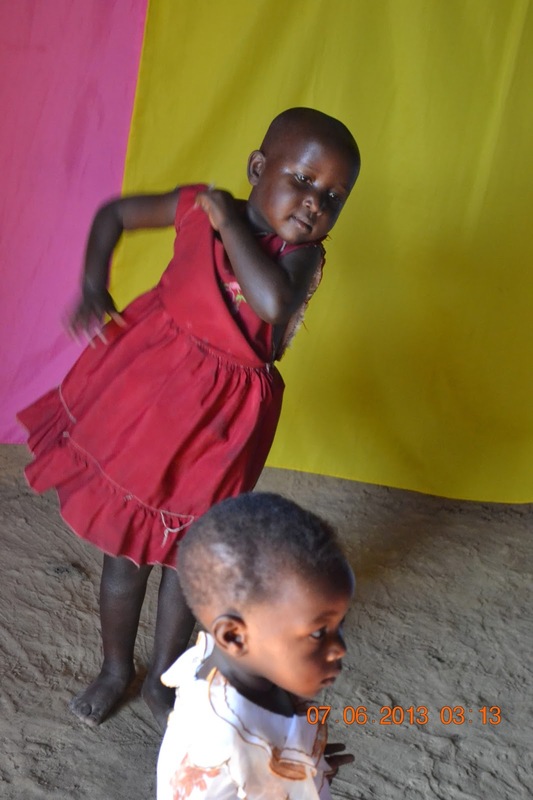 Violet got her to hospital where she was diagnosed with TB, pneumonia and a stomach infection. She was discharged after 4 days with more energy and no longer vomiting. She was treated with x-rays, lab tests, and released with antibiotics, pain killers and 4 bottles of blood builder. The total expenses for her treatment were 14,650 Kenya Shillings (KES) - $170/£112; an unfathomable amount for a villager. diagnosed with "early signs of a stroke and had signs of losing his mind". Medications prescribed for the two of them for one month cost 5,745 KES ($67/£44). We are told that all three of these folks have recovered well from these illnesses. Lorna has had a further problem. She must use a "stick" to walk now. She is in her mid to late 80s and can't be kept from coming to church. She is so grateful for the restoration of her eyesight that she walks about 1.5 miles each way to church and home using her stick. Recently when walking home from church she fell onto a tree stump and cut her arm badly. She struggled home but was bleeding quite a lot throughout the night. Someone stopped by next morning and found her. She was taken to the hospital where she was sutured. Jeremy - our colleague - is going to Kadawa in a few days and he will check up on her for us. We also have recently treated Mariko; he has prostate cancer and arrangements are being made for surgery. A widow from Magwar has been treated for chronic ulcers and a three-year-old girl who had severe eye allergies. The medical fund is truly a God-send when it comes to eye allergies in children. 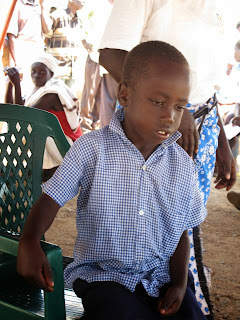 Most of them, when treated early, are easily cured and their eyesight is saved. So many children have lost their sight due to simple eye infections left untreated. If you would like to help with this fund, any amount is welcomed to our two accounts or to us directly. We wanted to let you know what we did with a generous donation to the work in Western Kenya. We were able to bless a lot of people as a result. It is great fun, although occasionally challenging, to be stewards of what God provides! We built two houses for two widows. Building houses is a tremendous blessing to these widows as it is something that is completely impossible for them to achieve without help. The two widows were Lucy Odhiambo who has a 7 year old son called Braxton. 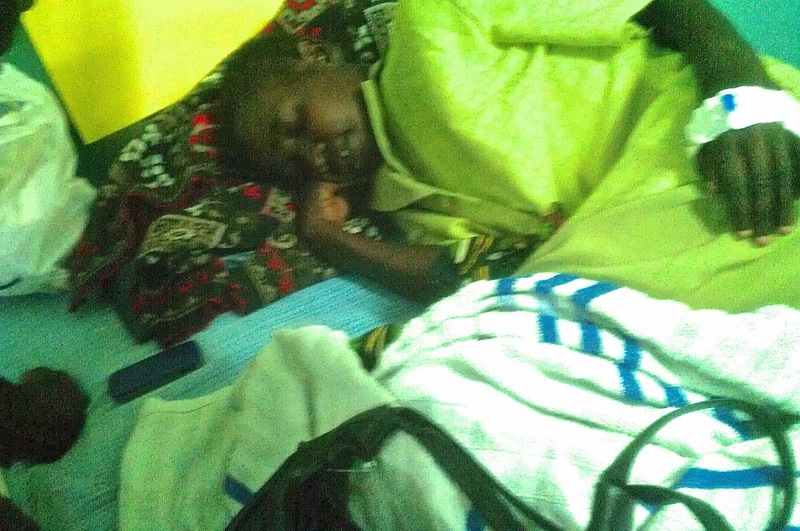 She had been crying out to the Lord for a house as her had collapsed and she was having to live with her mother-in-law. Lucy says “it was an impossibility that she couldn’t imagine happening and she is so thankful to the Lord. She will continue to pray for the sponsor and trusts God might enable that person to help other widows and orphans”. 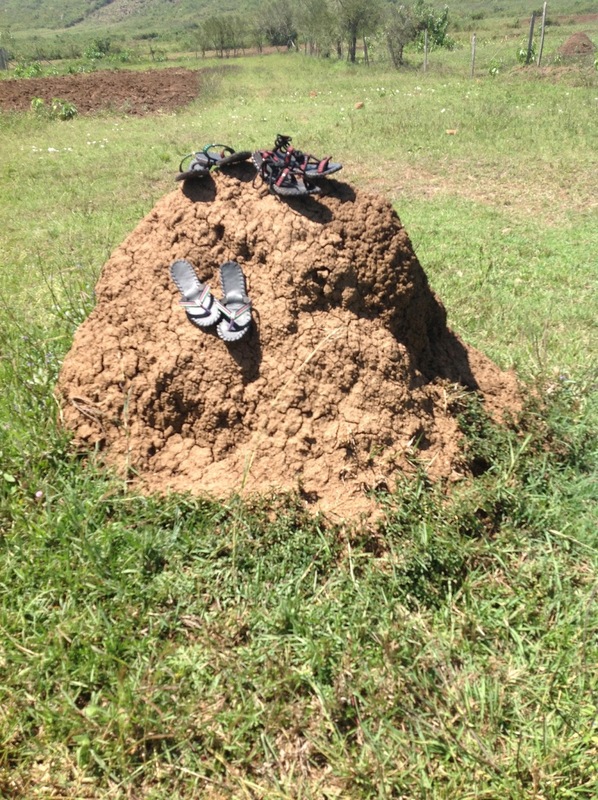 The second widow was Claris Ochieng who has 3 children, Sheila 7, Faith 10 and Celestine 13. She too appreciates what the Lord has done through the sponsor. As you see, her house was almost collapsing and the roof was leaking a great deal. She is very appreciative and very happy. For a widow to get a new house is an impossible dream! We put $1000 into the hospital fund. This fund helps people with more serious problems to go to hospital to seek medical treatment. Violet, pastor Hesbone’s wife, administers this fund for us as needed. She told us recently that she gets to see first hand how people benefit who otherwise would have no hope of such help. People are so appreciative for this fund. A contribution was made towards the eye clinic that we sponsored at Magwar. The eye clinic cost us $1141.11. This includes hiring two people from the eye hospital, drugs that were bought, eye glasses that were prescribed, reading glasses and several cataract operations. One project that we feel is invaluable is the church library we have set up. It is a lending library of books for the leaders and is a resource for their teaching. It also helps with their English. We obtained quite a number of books from a bible school that was disposing of them at very reasonable rates. Also we set aside a sum of money for a lockable bookcase to house these books. We always come across widows who are in need of shoes, flip flop type. So we have bought some of these to distribute as necessary. Actually, we had them made by a local craftsman - out of old tires. Keeping the Kenya economy growing, you know!! It is a cultural norm, and is expected in Kenya that a “pastor” looks smart and preferably wears a suit. We have never done anything for the pastors other than buy them each a tie on one occasion. So we felt this year the Lord would have us honour them with a suit. We know them all quite personally; they are dedicated to their calling and serve their people well. Violet went shopping for a good deal as there are now 7 pastors with all the daughter churches. The 7 were told to come to Kisumu one day and it was a complete surprise when they found out they were each getting a suit. For them it was overwhelming but they enjoyed the photo-shoot afterwards! Incidentally the suits cost £40 each, including alterations. You should have seen them. They all went into another room and changed into their new suits to model them for us and to have their photos taken. We have several individual photos of them posing as if for a fashion magazine. So much fun for all of us!! Johnfred Wasn't There, But Got His Suit Later! the Paddies it Has Supplied. The rice is doing well after the ground and trenches were prepared, plus the planting done under the supervision of an experienced rice grower. The rice will be given to the destitute widows. The vegetable area, 20 x 25 metres (meters), is being prepared and fitted with drip irrigation even as we write. 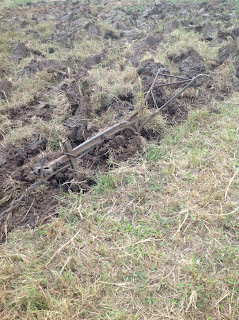 You saw the initial ploughing (plowing), done by oxen, in the last newsletter. Some of the vegetables that will be grown will be given to the destitute widows and some will be sold to go into the destitute widows' medical fund. 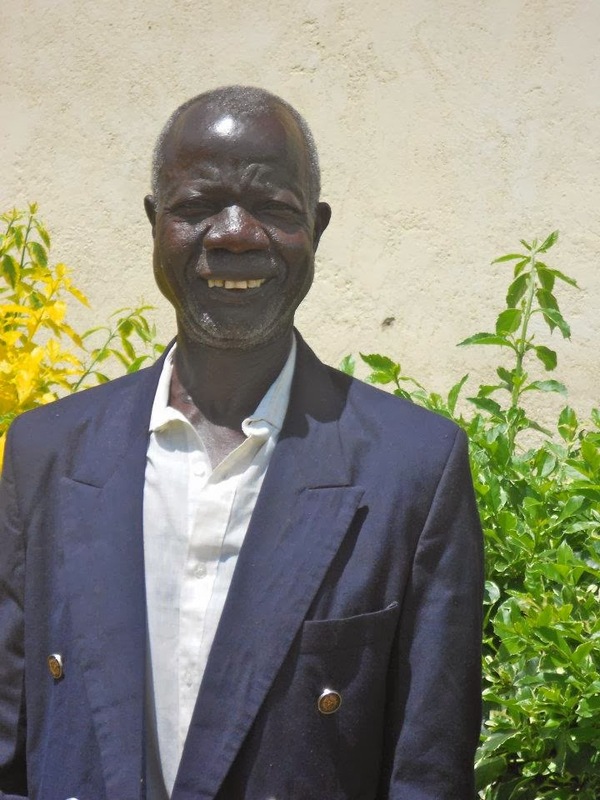 Johnfred is both our Farm supervisor and pastor of the Kisumu church. 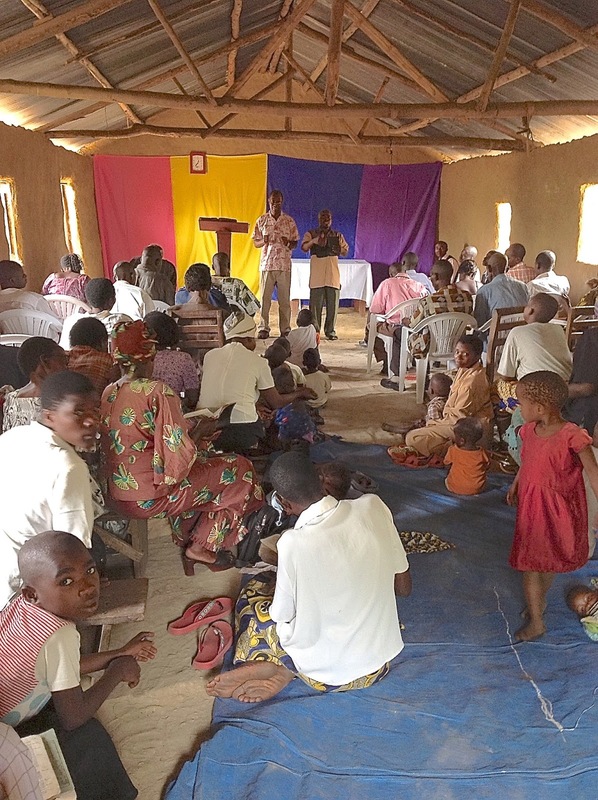 The church is developing and is now in its second year and meets in a tent, which was sponsored by a donation. 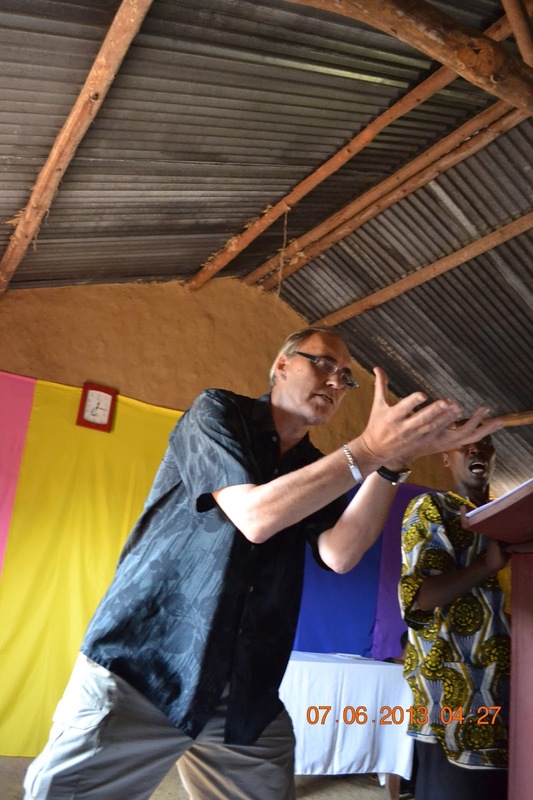 He used to be the area manager for “Campus Crusade for Christ” in Western Kenya, but when their staff had to become self-supporting he had to leave. He and his wife live in Kadawa with their 4 children. As well as the farm and church he also has some studies to do at Bible College to get his diplomas. He has to go there about three times a year for 4-5 weeks to attend selective classes. 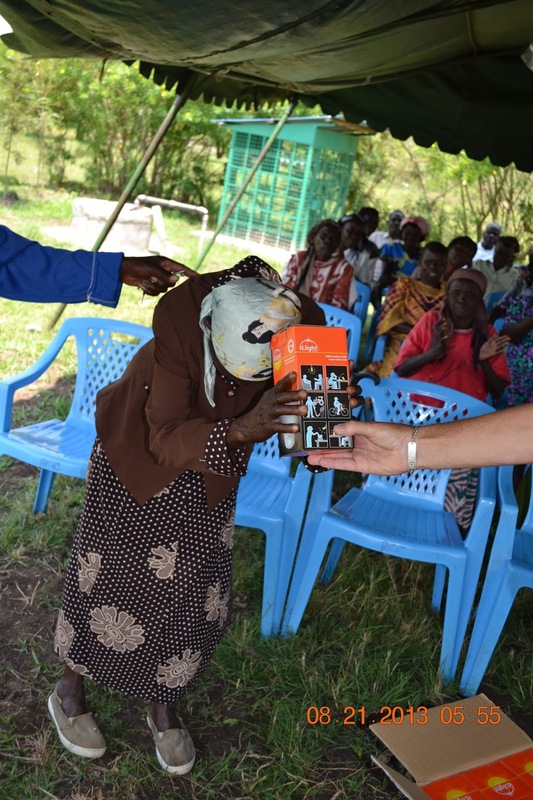 John has had it on his heart to bless the people who volunteer on The Widows' Farm. They are mostly younger widows, plus Joel, who "supervises" the women. John, Johnfred, Charles and Peter planned the whole thing. They did such a great job! 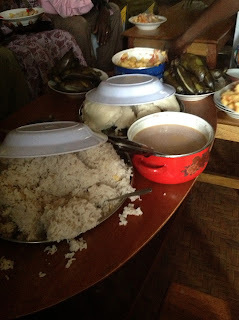 Planned the menu - goat (later sheep, for we found that the older widows will not eat goat), sukuma wiki (kale), rice, ugali (aka African Cake - very stiff maize (corn) meal used in the place of bread, soda (pop), and tea! They rented a marquee (tent) filled it with chairs, organized 4 women to do all of the preparation (an unbelievable feat) and even dug a temporary "convenience station". The women cooked the meal for 28 on three wood fires. The ladies doing the preparation showed up about 6 AM. One of the guys slaughtered the sheep (WE WERE NOT THERE). The men did the initial butchering and then the women did the rest. We saw parts and bits and pieces that we didn't know existed and certainly didn't know were eaten. We arrived about 10:30 and there were a handful of widows (and a couple of children) in the marquee. (We found out later that they didn't have any idea that they had been invited to a banquet. They just thought they were coming to some sort of meeting. As usual, whenever they are called together for a meeting they came in their best clothes.) After we greeted them all Joel, Peter, Charles and Johnfred took us in to "see" the sheep's head and hide. An aside to the ladies reading this: Men are the same everywhere. These guys just delighted in watching and hearing Marty's reaction to this display! She was pretty cool about it (she thinks) ! Asked what they were going to do with the head they said they would eat it. And the next day Johnfred let us know that Peter was busy preparing the head for his and Charles' lunch. He explained a bit of how they go about preparing it. Nothing you want to know about!!! Asked what on earth they eat from the head - we were told that the tongue is a special delicacy and the cheeks and neck (we didn't ask about the brain). There are a lot of photos for this newsletter, but a whole lot that you won't be seeing! While waiting for the meal to be prepared the women began to sing in the tent. Then John suggested Marty take them to the prayer chapel. So, she stopped their singing and explained that we were all going to the chapel to sing. Well, that got them pretty excited and the next thing we knew the women and men (Charles, Johnfred, Joel, Joash [the night watchman] and Peter) were all in a group doing a traditional Luo dance and singing all the way up the farm and to the chapel. What a thing to watch and be part of - just wonderful!! We stayed there awhile and sang a lot and then danced all the way back to the tent for our meal. Apparently sheep are much like chickens in terms of being eaten, in that there is NOTHING wasted. The blood is cooked with some of the offal and onions and tomatoes. It cooks up into a dark brown affair that resembles a wurst that hasn't been put in a casing. They were very gracious in that they didn't offer John and Marty any of it, but very discreetly gave it to the others. The rest of the organs, the tail and intestines (all cleaned very, very well) were chopped in bite-sized bits and fried, well done, in oil with seasonings. This was served to us and we ate it - it really was pretty tasty. The whole meal was wonderful! Our friends are so gracious and sensitive to us, and they know we love them and try to be sensitive to the culture here. We never want to offend them. The Lord really and truly does give "eating grace"! (There are probably many of you reading this who were raised in the country and slaughtering and butchering were [or are] part of normal life for you and you are scratching your head in wonder at us or are laughing your heads off.) Although, Johnfred told us that he would have thrown the blood away. Marty wasn't part of the initial planning process because she had knocked 8/10 of a gallon of paint off the top of a ladder in the house and was cleaning it all up, so she couldn't be involved. The paint story will show up in another place. Don't ask!!!! But, before the party she did go out and get more plates, cups and spoons so that there would be enough for however many came. She also found out from the cooks what other kitchen items/utensils would be handy to have for the farm for future events. The Chief came and got really involved in the festivities. He told us several very interesting things that we didn't know. He said it is tribal tradition that to slaughter a sheep and have a meal like that is the way they bless the land. Also, a marquee is usually only set up for funerals or, sometimes, weddings. He said the folks there had never been treated to a tent nor a banquet like that. It was an extremely rare event. Next to the farm is a large field where people graze their cattle. School is out for a few weeks and there were 9 or 10 children herding the cattle. They kept gathering around the fence near the festivities (and cooking) to watch what was going on. They know that Marty always has whistle lollypops and often there will be two or three stop by in any given day and quietly stand until she notices them - but never this many. They all got their sweets - twice - and then the ladies who were cooking made sure the children all received a meal after the banquet was served. God is good! He saw to it that there was enough to feed the children! Several folks in America gave us money to buy solar lanterns to give out here in Kadawa. After the meal John and the chief showed the women the lamps and explained how they work, and then told them that they were being given the lanterns in appreciation for their hard work. Never, ever would we have expected the reaction from those ladies. They literally jumped up and down and began dancing and singing! Even the old, old ladies were dancing! An added bonus to having these lamps is the fact that they will no longer need to buy paraffin (kerosene) and tin-can lanterns. They seldom can afford more than a few tablespoons of paraffin at a time and those tin lanterns hardly give off any light. Oh my what a wondrous celebration it was and we were just totally overjoyed by witnessing it all. Each woman was called by name and came up to get her lantern and every other woman cheered enthusiastically each time one went up - just as happy for each other as themselves. Then lanterns were given out to all the staff and those men were every bit as excited as the women. Marty took the chief on a tour of the farm and when they got back it looked like a small field of orange mushrooms had spring up. 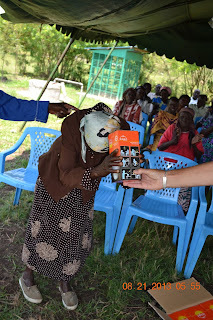 The ladies had all put their new solar lanterns outside to charge in the sun! 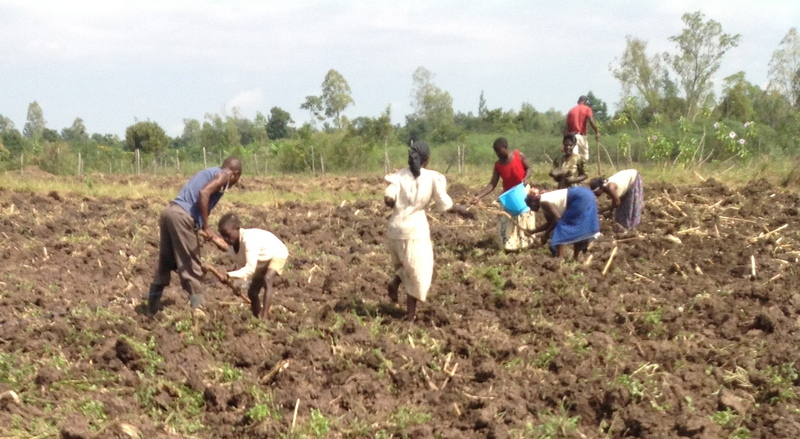 We were able to get the tractor in and plow our field and over the past three or four days women and children have been preparing the soil, planting and fertilizing. Yes, we said children. It has taken awhile for the old widows to understand that none of the crops grown on the farm are consumed, used, or sold by us for our own personal use. We didn't realize that was there perception. Now they know it all goes to or for them and so even though they can't come work some of them are sending grandchildren to work on their behalf. What a wonderful, glorious day! We are told that nothing had ever happened like that in the village and that it will be talked about for a long, long time! A wonderful time was had by all. John and Marty possibly had more fun than any of them. THANK YOU TO ALL WHO MADE THE PARTY AND THE LANTERNS POSSIBLE. 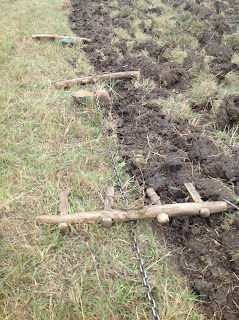 Thanks to your prayers, we have had rain for several evenings - enough to soften the ground so we could get the space for the drip-feed irrigation project ploughed (plowed). 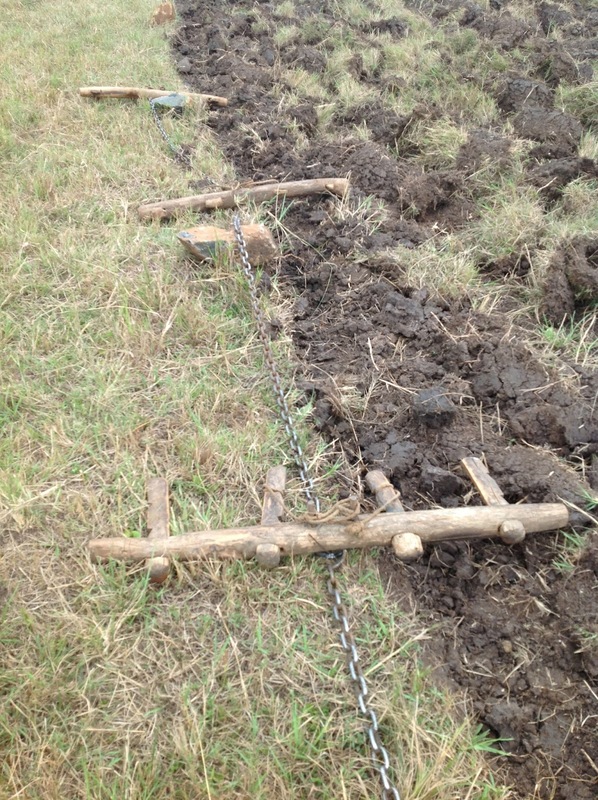 There was a team of 6 oxen yoked together with a really primitive set of yokes (no "my yoke is easy" business there) . They were driven by a young lad with a type of whip (not used to strike them, but to make a sound and direct them) and another fellow was guiding the hand-held, single-blade plow. It only took a couple of hours. When they were done the yokes and harnesses were left until the next day, but the cows were immediately rewarded for their work by being released in our harvested maize field, where they were very happily chewing off the prime bits of the empty stalks. The men let them stay as long as they wanted and then drove them home. 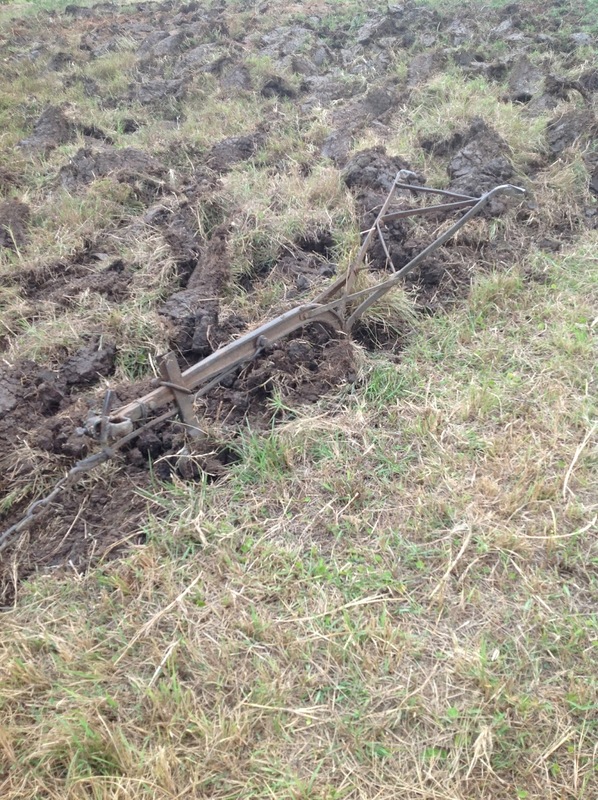 The ploughed (plowed) field must be rained on and then harrowed in preparation for laying laying the drip lines and planting the crop. Marty shared the story of the oxen and their "guide" with a friend and commented of the apparent spiritual application of the whole task. She wrote back some-thing that is well said and worth sharing: "Your des-cription of the oxen and the field is lovely ~ the strength of those 6 animals focused on a singular task, guided by the hand of one who knows the plan…. Beautiful!" Because of ploughing (plowing) for the irrigation project it was necessary to go over the spot where the sukuma wiki (kale) was planted. We have given much of it to the widows, so there wasn't much left, but some did remain, so we sold it to two ladies who took it to market. We sold it for 360 KES - about £3 ($4.35) - which goes into the widows' medical transportation fund. We are both attempting to learn Dholuo words and phrases. 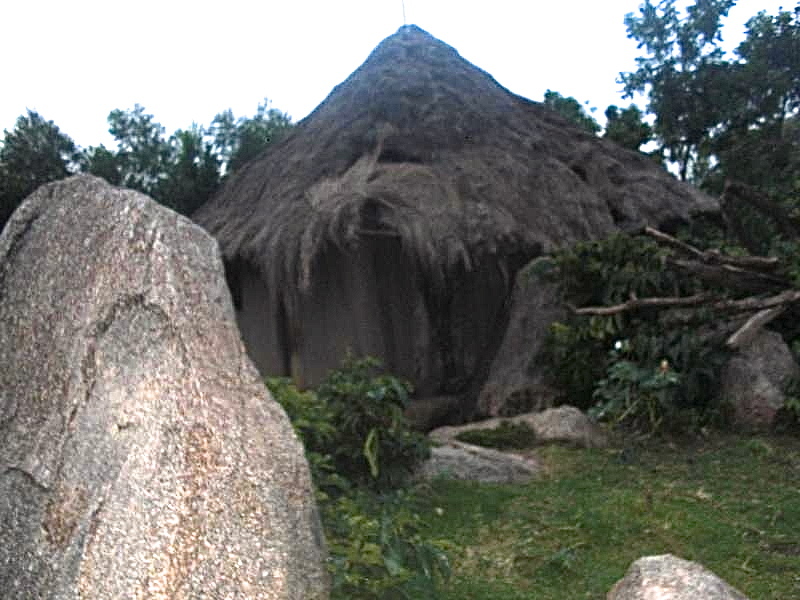 The tribe is the Luo tribe, but the language itself is called Dholuo. It is not a common language and is only used by that tribe. 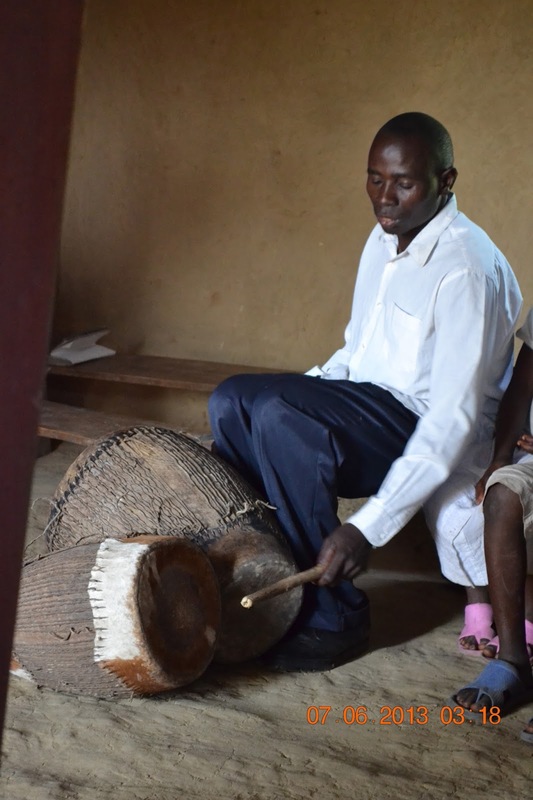 The village youngsters learn Swahili in school, and later on they also learn English, but the majority of the older folks and especially the old widows only speak the Luo language. It pleases them no end when we try to communicate even a little and they readily offer us help in learning it. 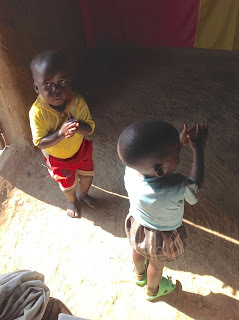 So many things happened on our trip to Uganda that it is hard to know what to write about and what to leave out. It was a great time! It has since occurred to us that God often works in the Natural first and then the Spiritual/Supernatural. 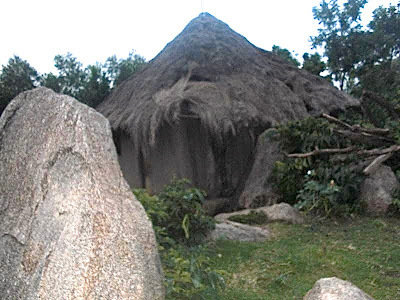 We believe that earthquake was a demonstration in the Natural of what God had planned for in the Supernatural in the remote area of His Kingdom in Africa to which He was sending us. Thursday: We drove another 6 hours on paved roads, which were occasionally rough, in Ephraim’s 2001 well used, but able for the job, van to a small market town in a fairly remote area. But there was a hotel there into which Ephraim and we were booked. Friday - Sun: We were headed for our destination, Kakaari, a very remote area, down in the Great Rift Valley, near the border of The Congo. Absolutely beautiful, verdant country with spectacular views of the valley, volcanic crater lakes, tea plantations and bananas! The trip to and from Kakaari took another 1-½ hours each way (total 3 hours a day for 3 days). The actual village itself was about 15 miles off the paved road and on very, very rough, narrow dirt roads. Motion sickness first thing in the morning became a problem for Marty, but it cleared up in about a half hour once there. That area of Uganda is the banana capital of the universe! 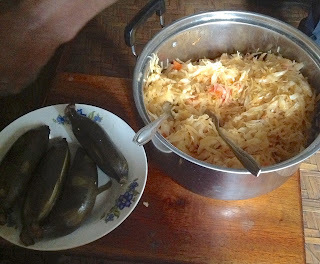 Needless to say, bananas are staples there – green cooking bananas (aka plantains in the West); yellow bananas; red bananas (sweet and tangy); boiled bananas; mashed bananas (matoke); fried bananas; banana beer (saw it [smelled it] being brewed in the village). Groundnuts (small red-skinned peanuts) are also a staple there. One treat was a peanut sauce/gravy served with each meal. During the dictatorship of Idi Amin, the Ugandans were able to stay alive and relatively healthy by eating bananas and groundnuts, which provided sufficient nutrients. All day Friday and Saturday was dedicated to teaching and ministering, in a mud church with a corrugated tin roof, to about 30 regional pastors and other leaders from various villages in Western Uganda. How some of them got there remains a mystery (the area was so remote). Some made real sacrifices to be there. The theme of the conference was “Building for Growth”. We also led impromptu workshops on Saturday on Discipleship through Cell/Home groups; the Gift of Prophecy - Prophetic Intercession - Five-fold Prophets. Sunday was just a great and wondrous (and long) day. The little church was packed and John delivered a powerful faith-building message! The faith level was really high. Marty had, had a dream on Thursday night that had her really puzzled - it just didn't make sense. She prayed and sought the interpretation. Then in the wee hours of Sunday morning she got the interpretation. It was - that there were folks in the church that were mixing witchcraft with Christianity and were deceived and also very confused as a result; there needed to be repentance - rejection of the witchcraft and total commitment to the Lord. The two leaders of the group, Ephraim and Mark, agreed that was an accurate interpretation and we had a time of congregational repentance. Then there was a short teaching on the infilling of the Holy Spirit. There were many children there. When teaching about the Gifts of the Spirit and being “Baptized in the Holy Spirit” Marty pointed out that with children the Holy Spirit isn’t a “baby Holy Spirit”; He fills children and they operate in the Gifts of the Spirit in the same way as adults. When the church was given the opportunity to come forward to receive the Infilling (Baptism) of the Spirit the pastor got all of the children in the congregation and brought them to the front of the adults that had already come. When we prayed, the presence of God was very powerful and the people responded with much joy and enthusiasm. But to see how the children responded to His presence was just an amazing and beautiful thing. We tried to get photos of them, but it wasn’t possible. We would be remiss if we didn't mention the singing and dancing in that church. The only instruments were two primitive drums that had skins across both ends; they were played with a stick and the hands. Truly, no other instruments were needed! There was even a choir. Wow! What harmony!